Pooltiel House Skye for seaviews wildlife tranquility and walking. Pooltiel House is located in Lower Milovaig. Milovaig is a small crofting township in the Glendale estate on Skye. The plot on which Pooltiel House is built is approximately 375 m long. It’s situated between a small access road and the waters of Loch Pooltiel and The Minch (basically the Atlantic Ocean). This makes Pooltiel House a truly coastal property. 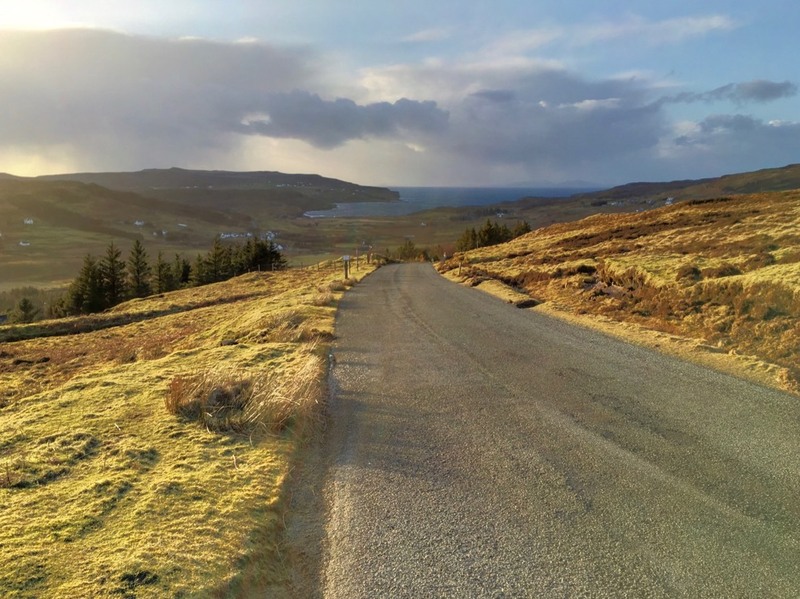 The plot ends in a beautiful cliff, part of a rugged and rocky Scottish coast, above the ocean water with views over Loch Pooltiel, The Minch and towards Dunvegan Head. On a clear day you can see the Outer Hebrides (Barra, Uist, Harris and Lewis). This area is renowned for its varied wildlife: dolphins, porpoises, otters, the basking shark and whales (even the killer whale) have been reported and there is wide selection of birds, including eagles and buzzards, for you to enjoy. Dolphins have been filmed in Loch Pooltiel close to the house. 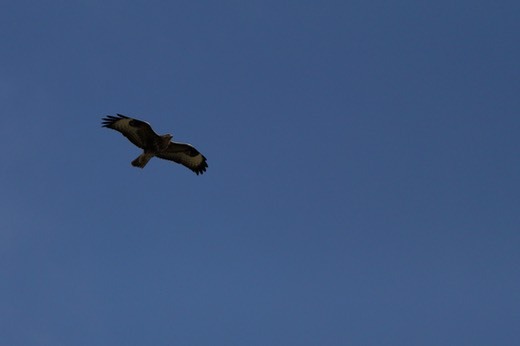 A buzzard over Pooltiel House. Sometimes called the tourist eagle, but impressive nevertheless. Coming from Loch Dunvegan and driving through Glendale towards Pooltiel House. Loch Pooltiel is in the distance. 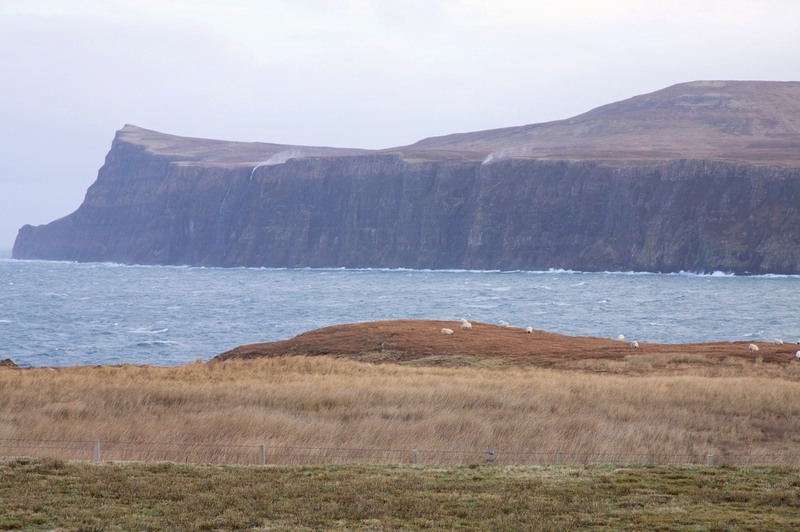 During some typical Scottish weather the waterfalls coming of Dunvegan Head are blown back over the cliff edge. 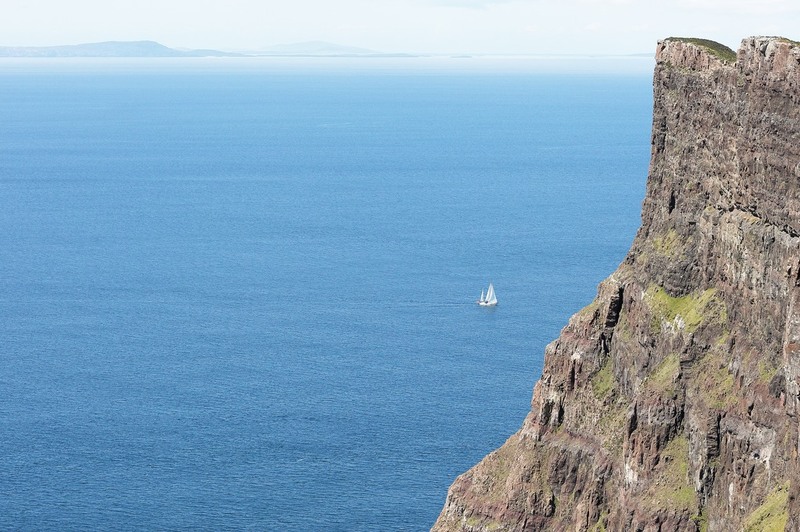 A sailboat crossing the Minch on a beautiful summer day. Nothing beats a summer sunset. 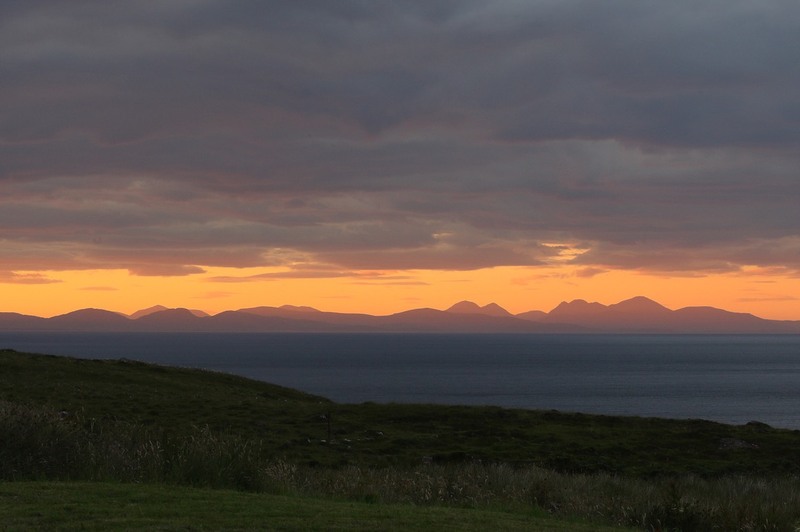 Shot taken from Pooltiel House towards the Western Isles.